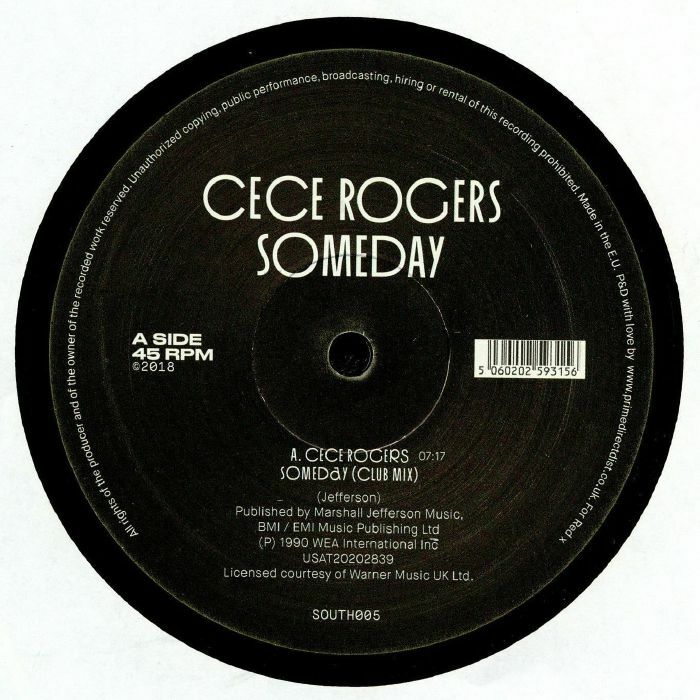 Cece ROGERS Someday vinyl at Juno Records. Few vocal deep house records are quite as timeless as Cece Rogers' "Someday", a Marshall Jefferson produced anthem that has continued to be constantly played by discerning DJs ever since its original 1987 release. As most will tell you, it was also the major sample source for Liquid's rave anthem "Sweet Harmony". This South Street reissue replicates the track listing of that initial Atlantic release, albeit it in re-mastered form to sound a little meatier on modern club soundsystems. On the A-side you'll find the essential Club Mix, where Rogers' impeccable vocal and Jefferson's meandering piano solos naturally dominate. 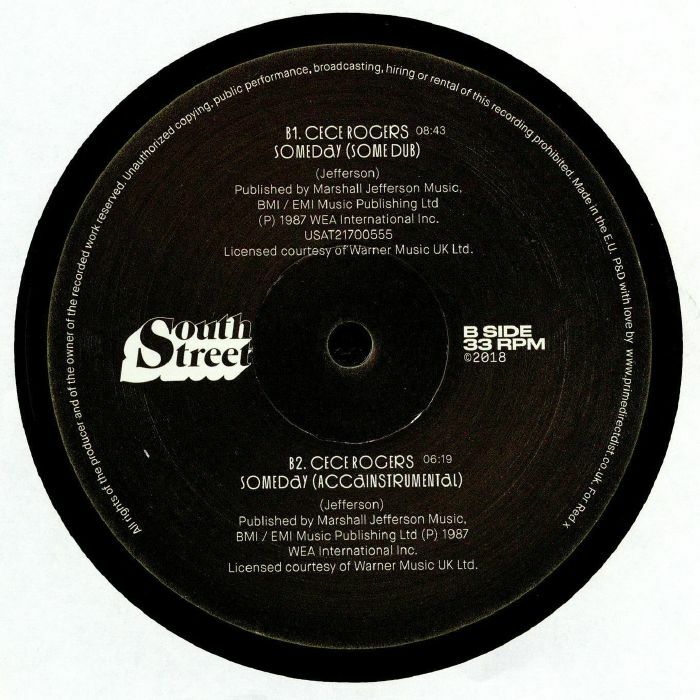 These piano solos take more prominence on the "Some Dub" version, which in true '87 style still includes key vocal passages drenched in dub delay, while the Accainstrumental is - ironically - a little more like a contemporary house Dub.